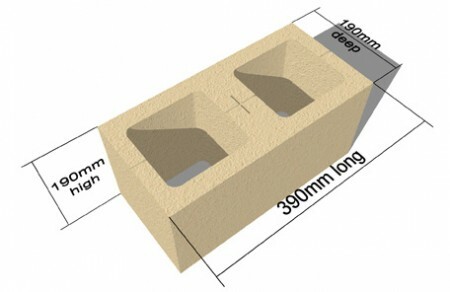 Our range of Hollow “Besser Style Blocks are widely used for retaining walls and structural walls, and are available in different sizes and two standard colours, grey and cream. Our hollow blocks are manufactured according to Australian Standards, for strength, and have a high quality finish. Hollow blocks have good insulation properties and are relatively light and easy to install. As all products are made from natural materials, variations in colour and texture may occur at times. It is recommended that all products laid in areas of high water exposure, from sprinklers, swimming pools etc. be externally sealed. Limestone products, in particular, have a tendancy to weather over time, so additional sealing is highly recommended. Product dimensions shown are nominal only. Actual manufactured size will vary between production runs and product types. Some chipping and breakages may occur during delivery, offloading, and laying of blocks and pavers. It is recommended that these products be used for cuts and in fills. Wastage should not exceed 5%. All weights and dimensions shown are approximate.